Welcome to the 346th Virtual Poetry Circle! Welcome to the 345th Virtual Poetry Circle! the Grenadine de Boeuf at Maison Henri. Because the Negroes were coming down the street. and they were coming toward him in rough ranks. In seas. In windsweep. They were black and loud. And not detainable. And not discreet. that told his story of glory to the World. to any handy angel in the sky. and broken glass and blood, and he cried “Lord! Welcome to the 344th Virtual Poetry Circle! of my existence. I have not disappeared. My wife quivers inside a kiss. turns my arms and legs into branches of oak. lost her son to gunfire in Detroit. I have not disappeared. pressing further into the mysteries. a general, and a photographer. for the bitter smell of control. I hold him in my mind like a chalice. rigs in the Gulf of Alaska and all the oil-painted plovers. When we talk about limits, we disappear. In Jasper, TX you can disappear on a strip of gravel. I am a life in sacred language. and my mind is a ravine of yesterdays. Welcome to the 343rd Virtual Poetry Circle! Welcome to the 342nd Virtual Poetry Circle! Welcome to the 341st Virtual Poetry Circle! Welcome to the 340th Virtual Poetry Circle! Welcome to the 339th Virtual Poetry Circle! 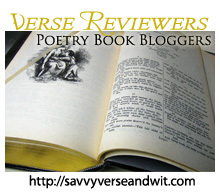 Welcome to the 338th Virtual Poetry Circle! Welcome to the 337th Virtual Poetry Circle! Welcome to the 336th Virtual Poetry Circle! You will come anyway – so why not now? Welcome to the 335th Virtual Poetry Circle! Launch’d o’er the prairies wide, across the lakes, To the free skies unpent and glad and strong.